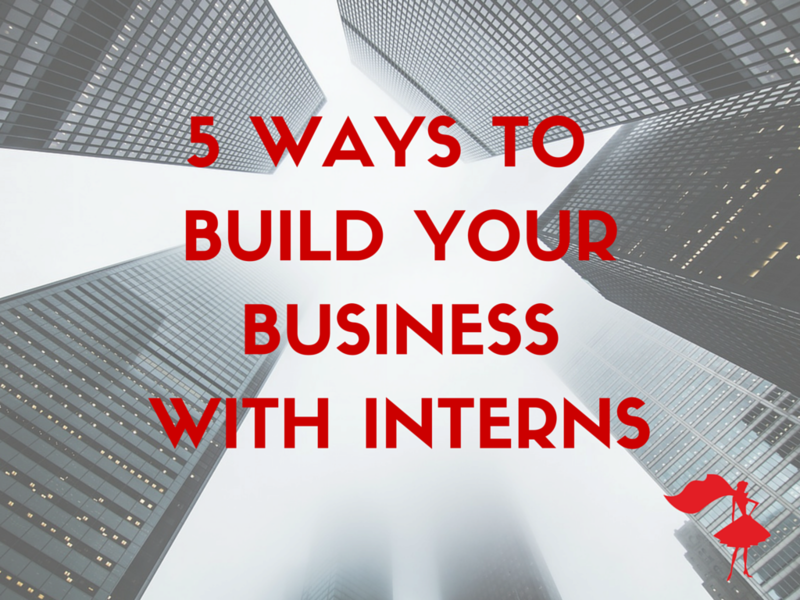 With great training, your interns can be trusted to take on delegated tasks. This frees you up to focus on booking more clients and signing more contracts. Or perhaps you need to spend some time looking at your marketing strategy, how to improve your service offering, networking or making some of your procedures more efficient? Interns help expand your capabilities, giving you the opportunity to focus on the big things that you need to do to build your business. Sometimes we need an outsider to point out things we miss because we’re too close to the problem. Often we put limitations on our ideas before we’ve fully explored them because we think they’re impossible or just wouldn’t work. A few months working for a service design company taught me that the best way to come up with innovative ideas and solutions is to let go of those constraints. This is easier for interns whose lack of experience also means a lack of constraints. Yes, it might occasionally mean you get unusuable ideas but in many cases, you can implement some elements or use them to inspire ideas that do work. Have you ever spent ages working on something or struggling with a problem before a friend or colleague looks over your shoulder and points out a fatal flaw or obvious solution? Yeah. That. Why spend thousands on hiring fancy consultants when you can get the new perspectives you need from interns? Need to work on your social media presence? Get your millennial interns on the case! Side note: We just read about the UK’s “first social media wedding”. What do you guys think? Is it something you’d suggest to a bride? There were 7 people on their social media team! Interns (as long as you hire wisely) are naturally enthusiastic and energetic. Their can-do attitude can give you and your team a positive lift especially on days when you need a little extra motivation. 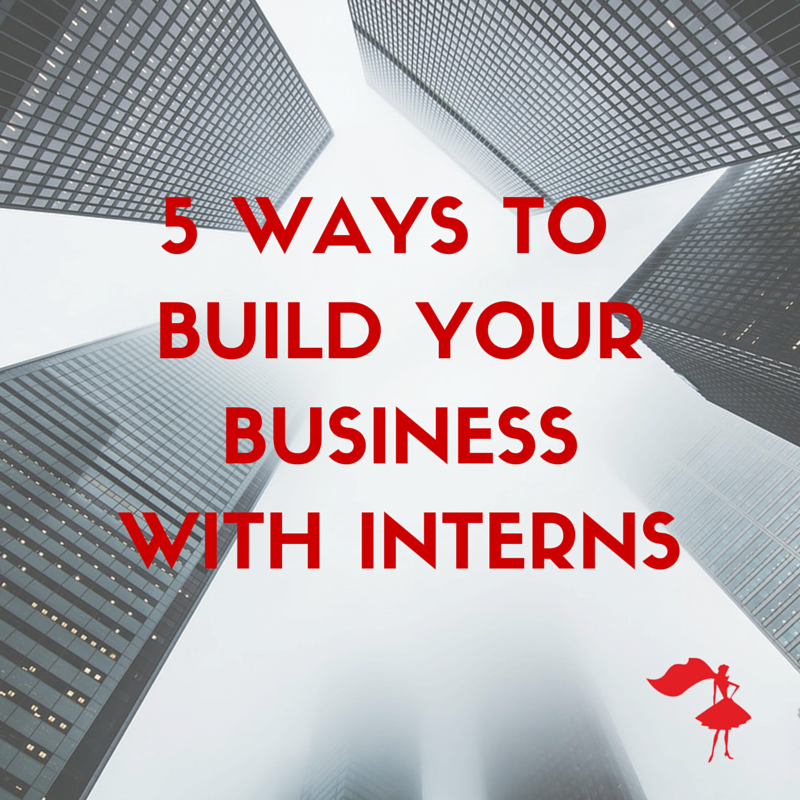 BONUS: being around interns reminds you how much knowledge, experience and skills you’ve built over the years. That confidence gives you a massive push to get things done. Growing your business will mean growing your team at some point. Internships are amazing opportunities for finding future employees. It’s like a trial period for both sides to see if you’re a good fit. While you CANNOT promise an intern future employment, in exchange for unpaid work now…you can build a list of qualified event assistants for future contract work, once they’ve completed your internship program. Plus, you’ll know that they’ve been trained to do things exactly the RIGHT way because they’ve been trained by you, using The Apprentice Program framework!